Way to go Ann! 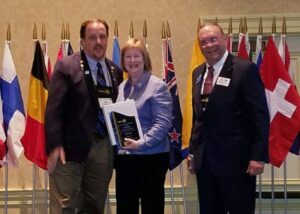 Ann Scruggs, Business Development in the Florida Panhandle, was recognized with the Rotary Serving Humanity Award. This award is the Rotary’s Presidential theme for 2016-2017 and is helping fund polio immunization in 2017. Ann was 1 of 9 people to receive this award in her Rotary Club’s district of 50 clubs.